Our wonderful Rock Choir leader, Jim, is today running his first All-Singers Saturday Workshop. Tickets have been on sale for a while although selling out speedily and are open to anyone to attend. As we arrived for registration this morning I was pleased to see that there was a healthy amount of Rock Choir people AND a good proportion of non-Rock Choir people. A range of ages and a plus for those of us in the Bass section, lots of men. As you know from my previous posts I love singing. I’m quite sure I’m not good at it (don’t tell anyone) but I love being totally absorbed in music at rehearsals, learning how to harmonise, singing as a choir, performing locally as well as Wembley, O2 and Albert Hall… and of course recording at Abbey Road! I’ve said it before, the escape from reality for 1.5hrs every week whilst every cell concentrates on the music, interpretation, words, harmonies and sound is so energising. Today’s workshop we are steering clear of Rock Choir’s ‘MagicFM’ playlist and learning some new songs. The first two from The Beatles – If I Fell and Because. The second pair from The Eagles – Peaceful Easy Feeling and Hotel California. A pleasant change and challenge to do something completely new to us. I also loved having the music score. 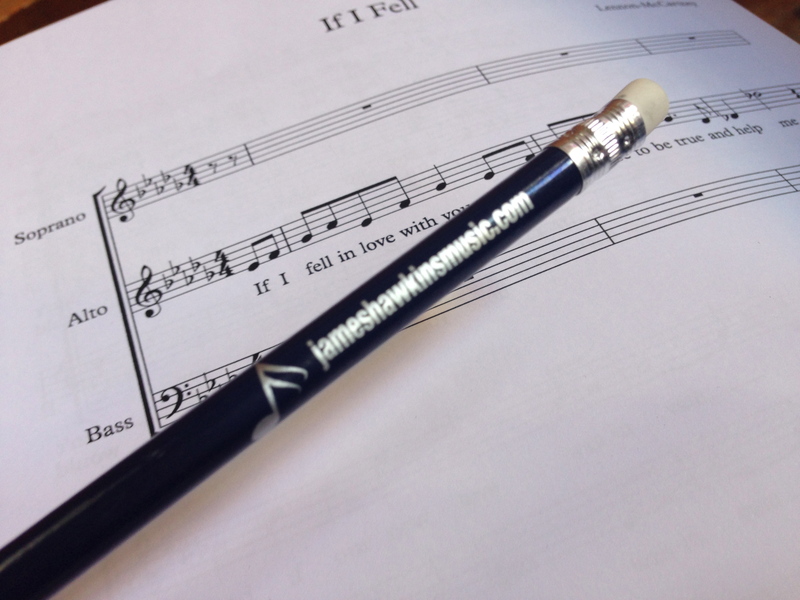 In Rock Choir we learn the voice parts by ear with only the lyrics to refer to. Reading music isn’t something that everyone can do and Jim took time to explain the differences between the notations on the score, what they meant and what they were called. I would like to think that this little insight into musical scores will give confidence to some of the singers to learn enough to read music. It’s funny to think that when we used to jam mostly The Beatles songs with Howard Jones after school in Wycombe that I don’t recall either of The Beatles pieces. The morning flew by with us learning all our parts for The Beatles songs. The arrangements have been slightly modified so that there were 3 parts – well done Jim for creating a new sound. Exhausted already, we broke for lunch. Whilst we were out a five piece band arrived and set up their kit. We were greeted after lunch with the sound of the band playing and warming up. Lovely to listen to. Then back to rehearsals. We returned to the two songs we’d learnt in the morning for some final tweaking. Then the Eagles pieces learnt. Mid-afternoon the band returned. What a treat to perform with a live band. We sang our way through our new repertoire, perfecting and redoing certain aspects with the band. Considering we were there for only one day, learning 4 songs is quite an achievement. I wouldn’t say we were up to concert standard but we could, mostly, hold our own! Jim had also arranged for a recording to be made of each song. I’m hoping the sound engineer captured enough for a (very gifted) editor to piece together and produce some recordings that sound great. As soon as they’re available I shall add them into this post. Our final joy of the day was an hour or so of an open sing-a-long with the band. Attendees were invited to sing solos with the band and perform to us. What incredible voices we have in the room. I am truly hoping that Jim puts on more workshops. Clearly by the lack of a spare seat today they will sell out quickly so do follow Jim’s progress on his website, twitter @JamesHawkinsMus or on Facebook. 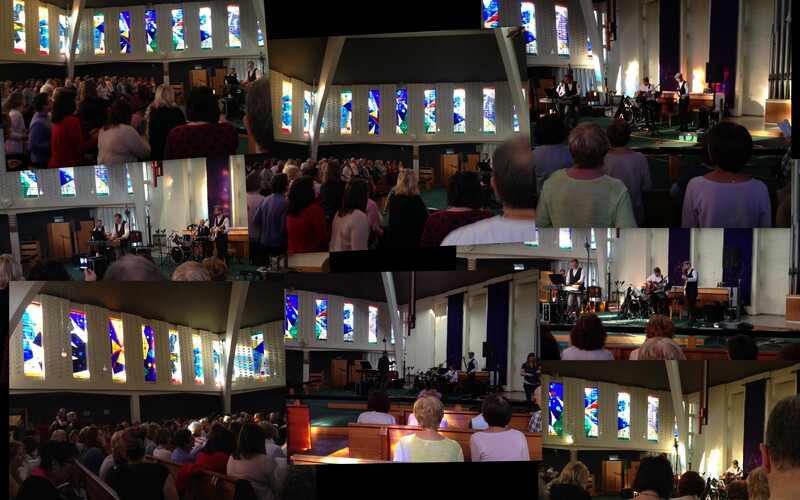 This entry was posted in Living and tagged Rock Choir, Singing, Theatre by AnnaGoAnna. Bookmark the permalink.